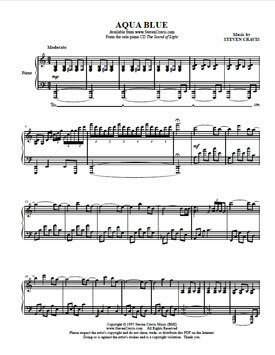 Aqua Blue is 4 page PDF intermediate sheet music from the album The Sound of Light by Steven Cravis. You will receive a download link emailed to you after your payment is complete. And the audio for Steven Cravis piano music can also be purchased at iTunes.